Another lovely unpublished recipe from the archives of Paula Peck. 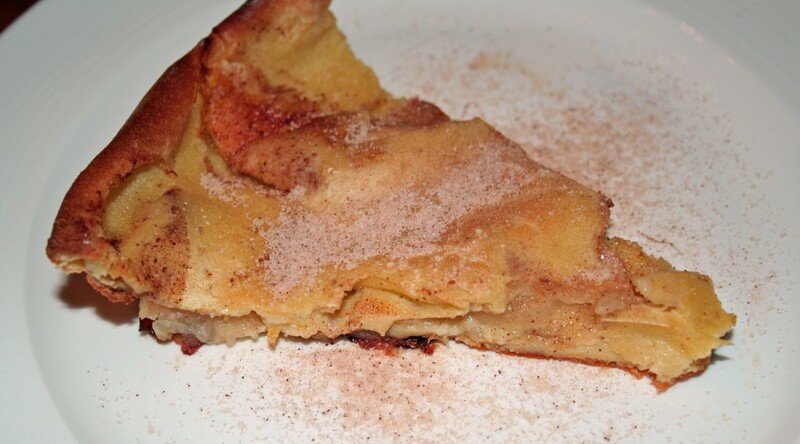 Cinnamon, sugar, and apples – what’s not to like? This is a very simple recipe that reminds me more of an apple pie than a pancake. After deciphering the faded typewriter version with it’s hand written edits, I noticed that the recipe directions completely left out 3 of the ingredients listed. I kept re-reading the recipe as if these ingredients were hidden somewhere amongst the four sentences of instruction. Thanks to it’s simplicity, I didn’t need to think twice about where to add them but I was intrigued by the idea that the recipe was so raw that I needed to add more than just the finishing touches. In addition to mixing in the missing ingredients with the remaining dry ingredients, I increased the sugar to 1 tablespoon. 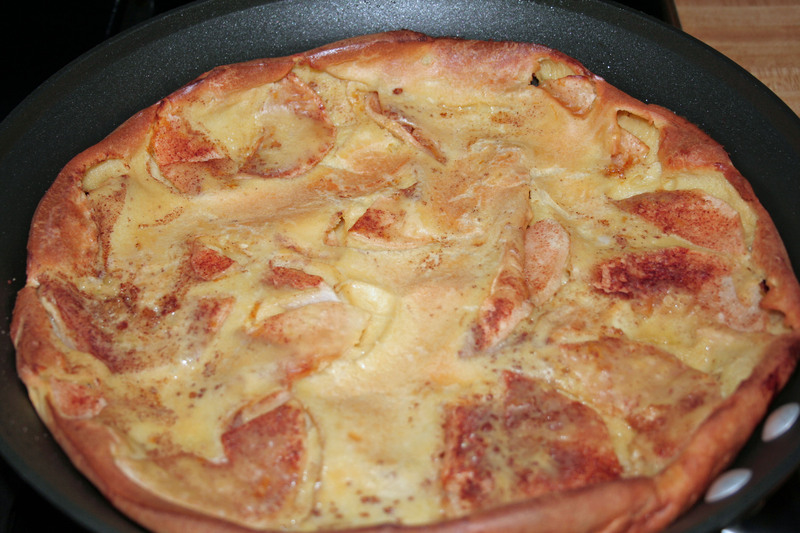 The resulting puffed pancake has just enough sweetness to balance the tart apples but can still be eaten with syrup or fresh fruit. I’m not sure what makes it Bavarian, maybe because it’s baked? Or maybe it’s as bavarian as French fries are French. Either way, this applicious pancake is a sweet way to start or end your day. Beat eggs. Add flour, sugar, and salt, beating in well until no lumps remain. Beat in milk. Peel apples, cut in half, and remove cores. Cut in slices 1/8 inch thick. Melt butter in heavy 9″ oven proof skillet. Arrange apples and sprinkle with lemon zest. 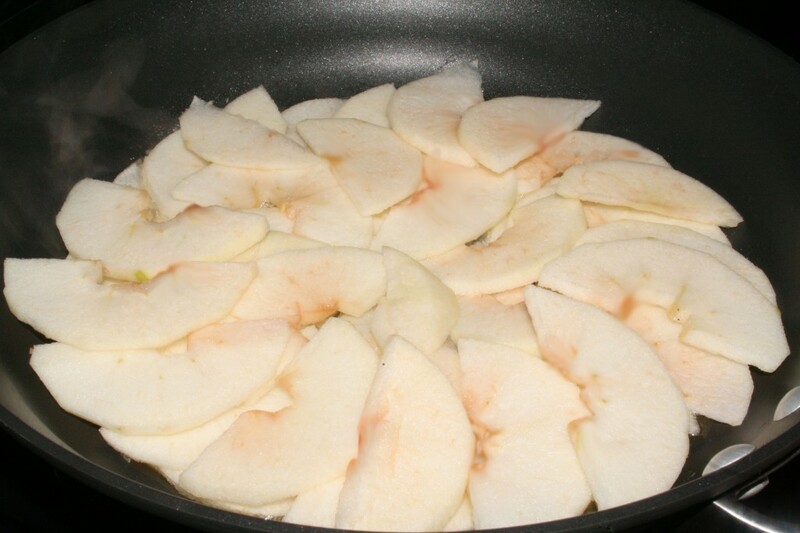 Allow apples to cook in butter 3-4 minutes. 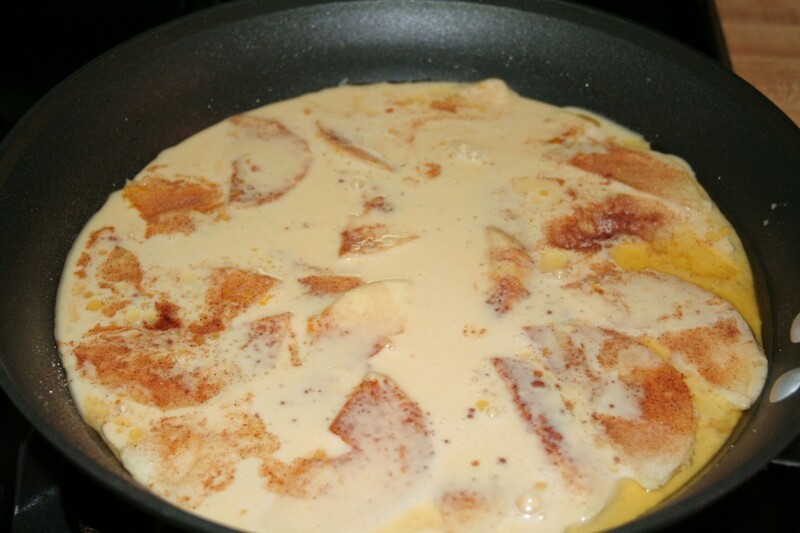 Remove from heat and pour in prepared batter. Bake for 15 minutes. Lower heat to 350 degrees and continue to bake another 15 minutes until pancake is puffed and brown. Serve with cinnamon sugar, melted butter, maple syrup, or fresh fruit. Makes one large 9″ pancake (serves about 6).